With Contributions by Adrian Sudhalter, Michel Sanouillet, Cathérine Hug, Samantha Friedman, Lee Ann Daffner, and Karl D. Buchberg. 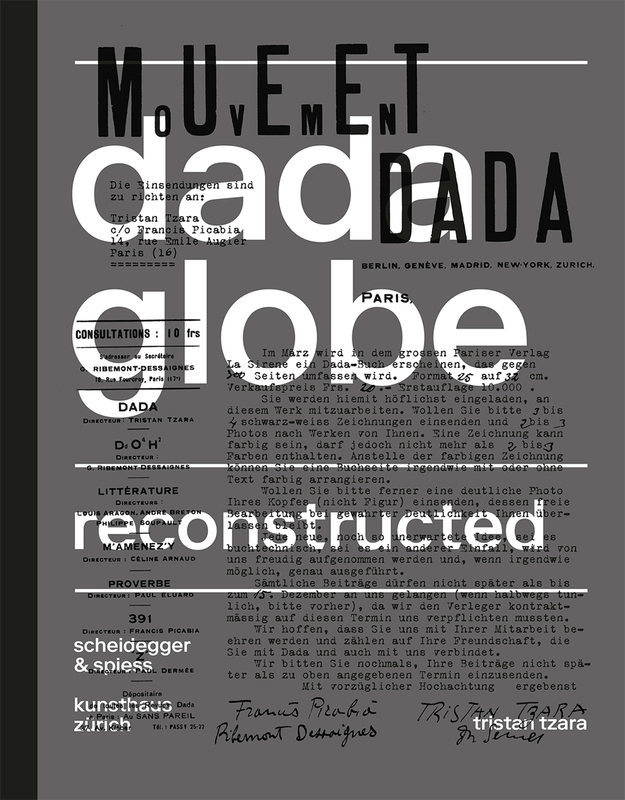 Dadaglobe was to be the definitive anthology of the Dada movement. Had it been published in 1921 as planned, it would have constituted more than one hundred artworks by some thirty artists from seven countries, showing Dada to be an artistic and literary movement with truly global reach. Yet, mainly due to a lack of funding, it remained unpublished, a remarkable void in the literature on this early-twentieth-century movement. On the one-hundredth anniversary of the founding of Dada in Zurich, Dadaglobe Reconstructed restores this fascinating literary artifact with reproductions of the works of art received by the Romanian poet and cofounder of the Dada movement Tristan Tzara. Tzara’s call for submissions in four categories—drawings, photographs of artworks, photographic self-portraits, and book layouts—was met not merely with existing works. In fact, the parameters for production also served as a catalyst for the creation of many new ones, including some of the Dada movement’s most iconic works. For the first time, the collection is presented here in full color and alongside essays examining Tzara’s concept and the history of Dada and Dadaglobe.